Feeling at home while enjoying true South Tyrolean hospitality. This is waiting for you at our family-run house. It is the ideal starting point to discover the Dolomites. 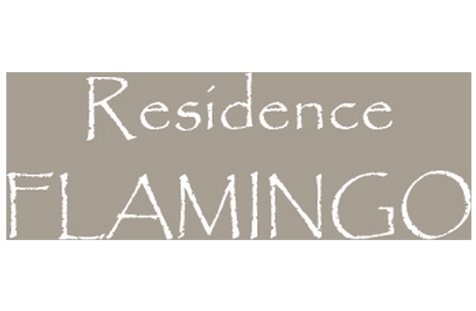 Welcome to Residence Flamingo in Wolkenstein! 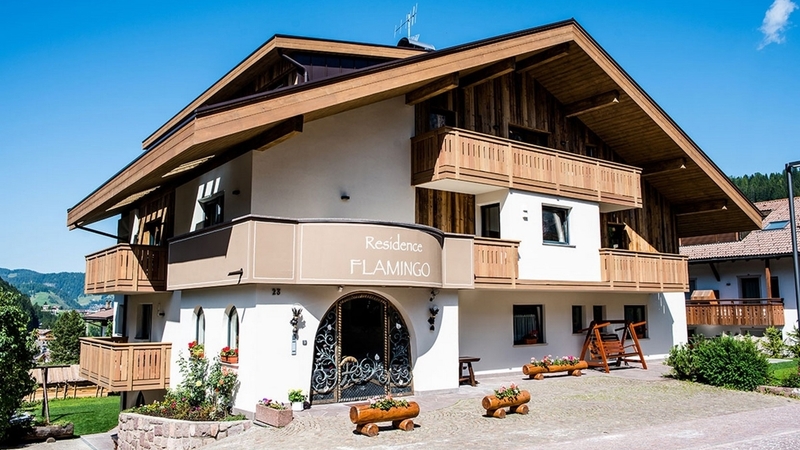 Our family-run Residence Flamingo is located in a very nice and advantageous position in Wolkenstein in Gröden. The dreamlike Dolomites view. The hearty hospitality and the relaxing atmosphere make our apartments the perfect sty for relaxation seekers and active vacationers. For your stay, you can choose between comfortable one-room apartments for 2-3 persons in the traditional Tyrolean style and elegantly furnished two and three-room apartments for 2-5 people. In each case, you will find a bathroom with bidet and hairdryer, satellite TV, WLAN, radio, phone, safe, complete kitchen equipment, partly dishwasher and sofa bed. Each apartment can be booked with a separate single room. On request, you can enjoy our bread service (for a small fee). After an active day in the mountains, you can use our nice spa area with sauna, whirlpool, adventure showers, infrared sauna, rest room and fitness room or relax in our large garden. In winter, on request, the use of our sauna and steam bath is included in price from Sunday until Friday. Residence Flamingo in Wolkenstein are a good starting point for activities of any kind. In winter the slopes, which are connected to the famous skiing carousel Sellaronda, are only a few minutes away and in summer countless hiking tours are waiting in front of the unique scenery of the Dolomites. The single room consists of: - a single bed - desk, LCD satellite TV and safe - a bathroom with shower, bidet and hairdryer This room can be booked in addition to an apartment. Gratis Skibus, Sunshade, Deckchair, Ski depot in the house, Multilingual receptionists 24 h, Pets allowed, laundry service, Snow boot dryer, On the slopes, Int he village centre, Quiet position, Shops in the environs, above 1000 m a.s.l.